Last month, I tried to focus on thinking about beauty from within, as well as externally. Sometimes, I get so wrapped up in making sure I am using the most luxurious and skin-friends beauty creams and treatments, that I forget to share with you some of the important vitamins, supplements and various other beauty internal ‘things’ I come across that are really beneficial. 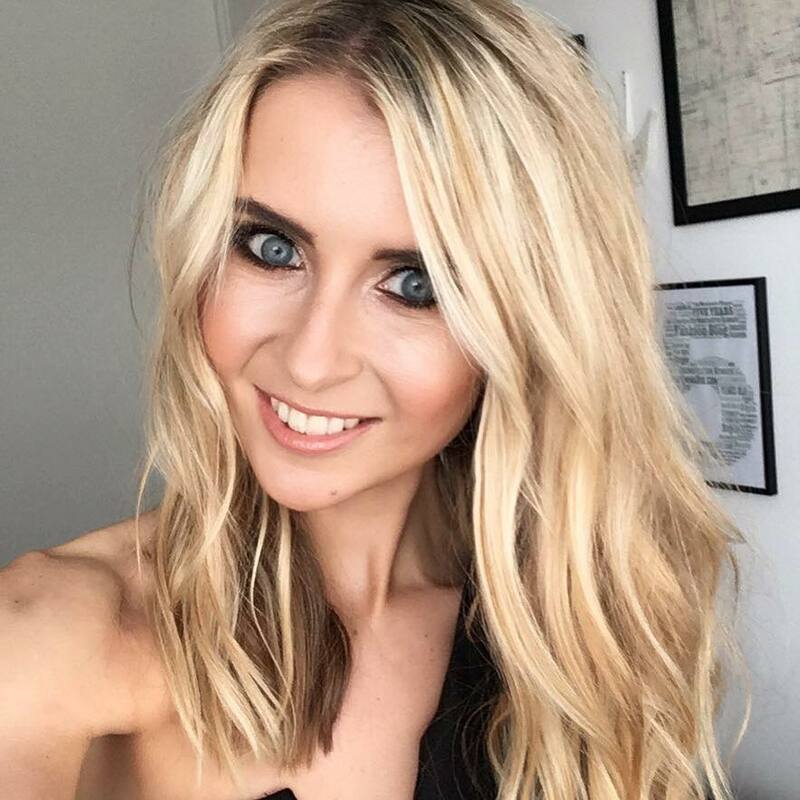 I recently discussed the hair supplement vitamins I am taking for stronger, healthier hair (this is over at my Hairworx post) and I am really noticing a lot of beauty benefits to my skin, hair and nails with them. 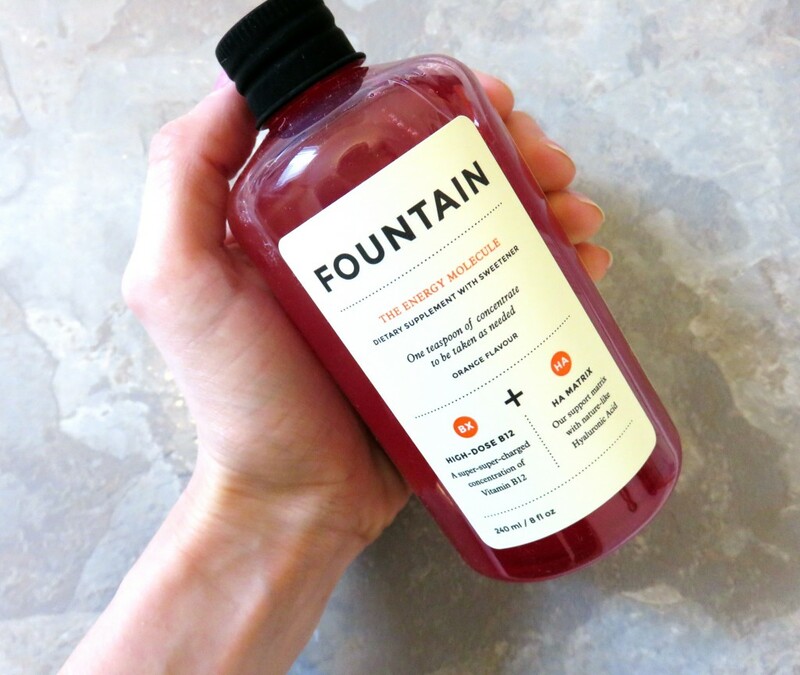 However, I have also come across this fantastic range from Fountain – the beauty supplement brand. Ever feel slightly lethargic and need a calling of energy? 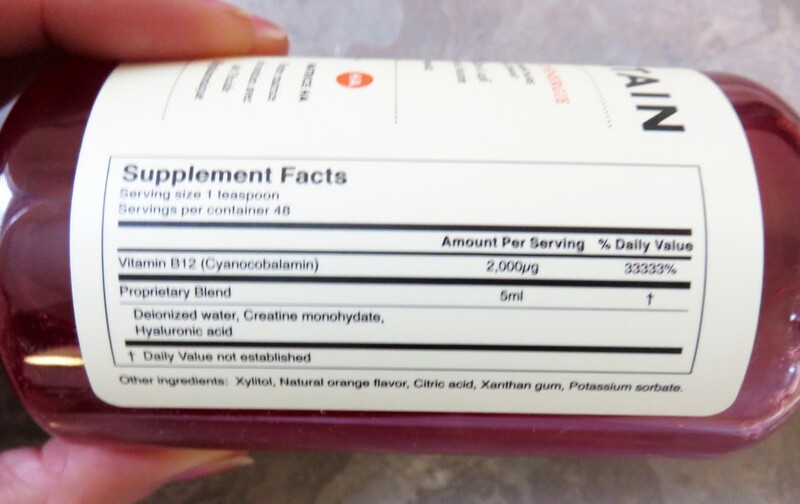 Unfortunately, even the most premium of beauty products aren’t going to provide that, but a quality supplement will. 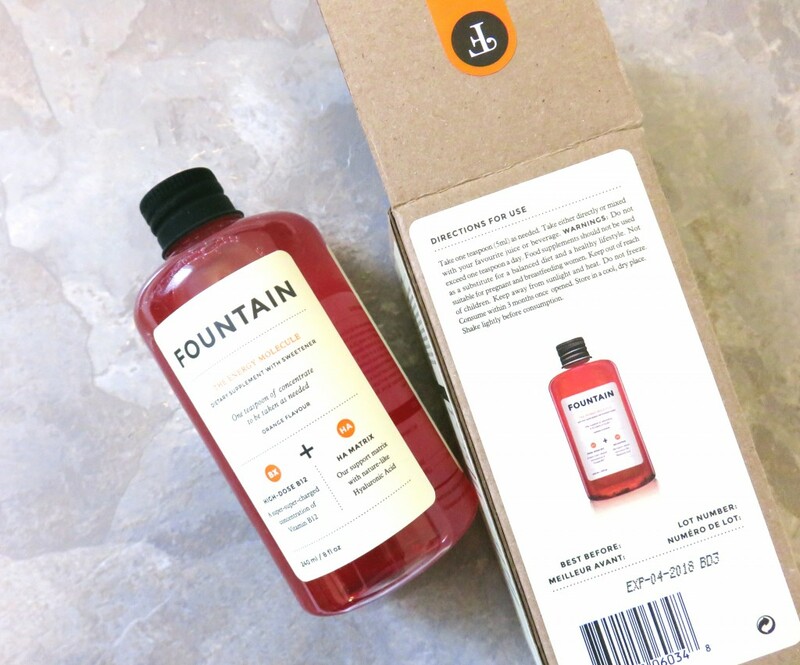 Fountain retail a range of liquid supplements which provide a boost of help where we think we need it most, whether that be energy as just mentioned, or glowing skin, a mood lifter, or a beauty boost. 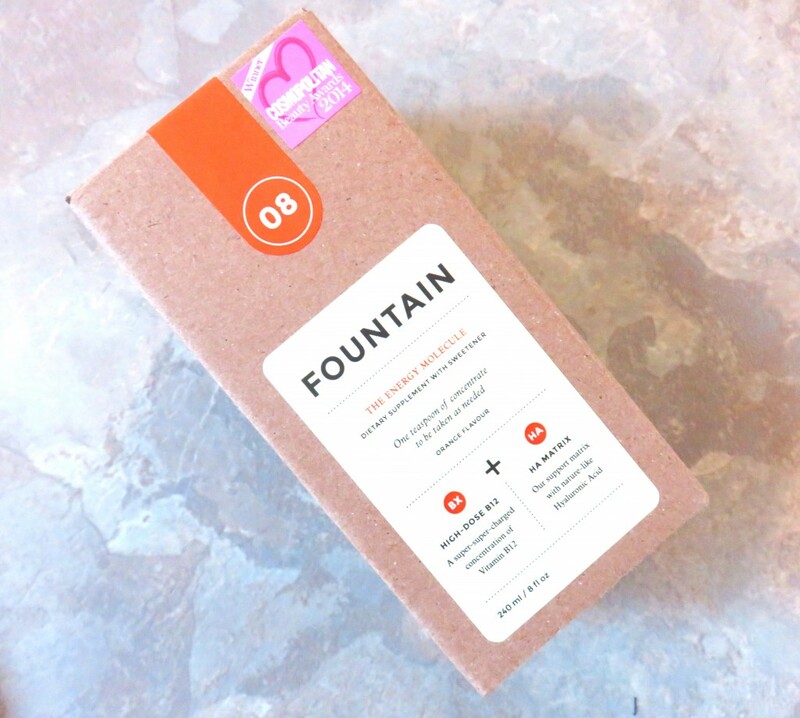 I have been trying Fountains ‘The Energy Molecule’ – a feel good molecule beauty supplement in liquid form providing a concentrated energy complex of Creatine, Vitamin B12 and our Hyaluronic Acid matrix to provide sustainable lasting energy. 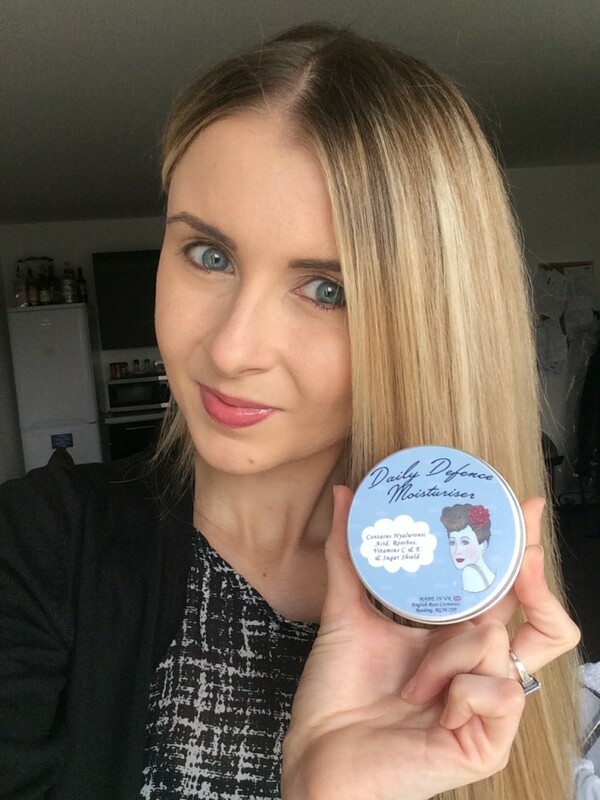 I have been taking one teaspoon a day, to help give me that little bit more ‘ooomph’ to my day (and my mood!) 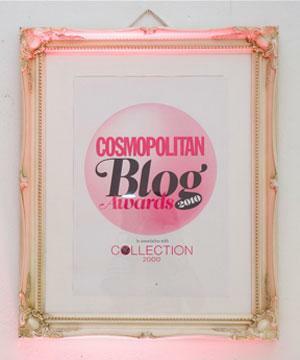 whilst I am currently juggling working full time, running the blog, my boutique and also moving into my new house. Sleep is limited, and any extra help is needed! 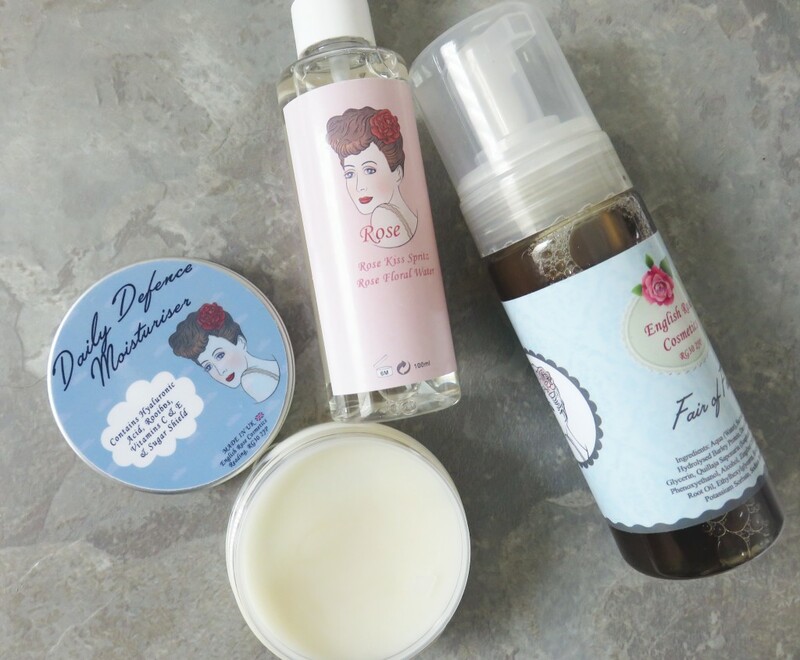 The other product from English Rose Cosmetics I’ve been loving is the Daily Defence Moisturiser. This moisturiser has a lovely gel like consistency that is quickly absorbed into my skin, meaning I can apply make-up fairly quickly after application. It also contains that hero ingredient of Hyaluronic acid which is loved for delivering moisture to the cells in the dermis, making it a highly effective moisturiser. Along side this, there is a concoction of Vitamin C and E for radiance and collagen, Rooibos extract which is naturally high in zinc to regulate sebum production, and Betaine (sugarbeet) which tightens skin to shield from allergens and pollutants. It again has a pleasant natural scent reminiscent of essential oils, reminding me of the natural properties. Overall, the packaging for this brand has that vintage, retro ‘glamour’ feel, so it would make a lovely gift for the girlies in your life, and it’s really affordable! And last but not least, since turning 29 I’ve started to become more weary of the sudden sightings of eye wrinkles! Yes, they have started to crop up much to my displeasure. As I am lucky enough to have a youthful appearance, the little eye wrinkles are just in the early stages of crows feet and under-eye creases, but it’s important to look after and tackle these as soon as you spot them. 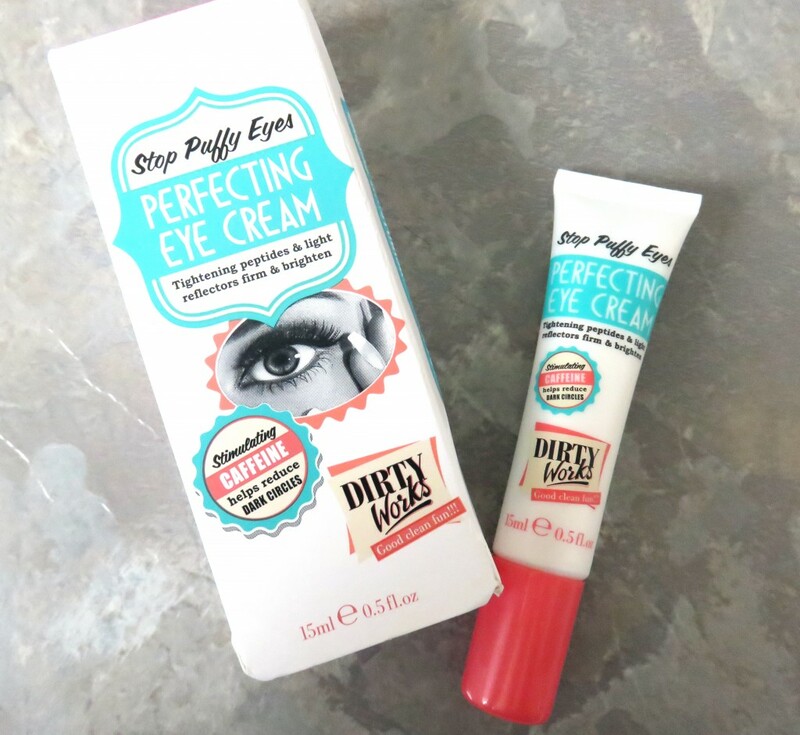 For June, I’m trying out Dirty Works Stop Puffy Eyes Perfecting Eye Cream, which aims to use tightening peptides and light reflectors to ‘tighten and brighten’. It contains stimulating Caffeine to improve circulation around the eye area assist with brightening any dark circles. So far, using this has been a pleasure because a) it is ridiculously affordable, at just £3 from Sainsburys, b) it’s fragrance free and ever so light to use due to it’s super sheer texture and feel, and c) because it focuses on lightening properties, I do noticed that after a few days of usage, the shadows do look a little bit brighter. 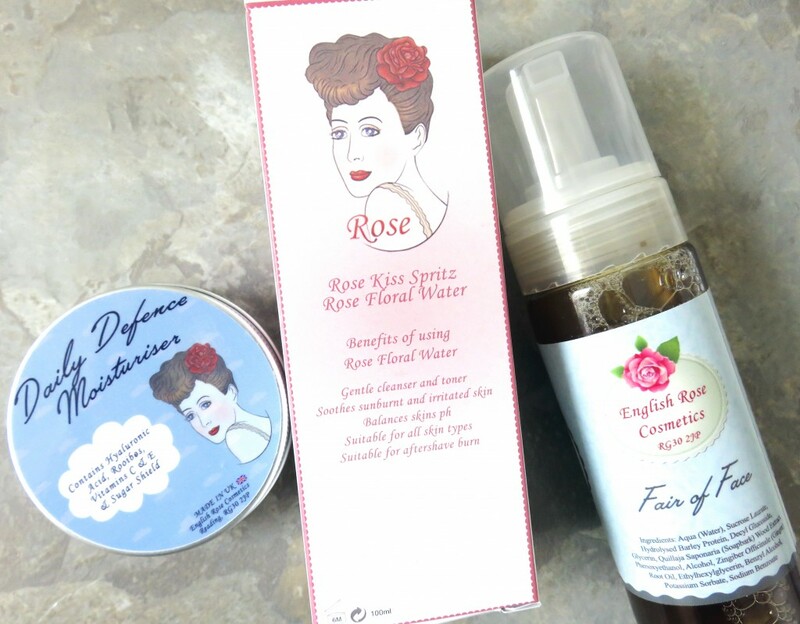 So there you have it, a little health and beauty June favourites post. Do you have any products or brands you discovered in June that you would like to share? Leave a comment below!